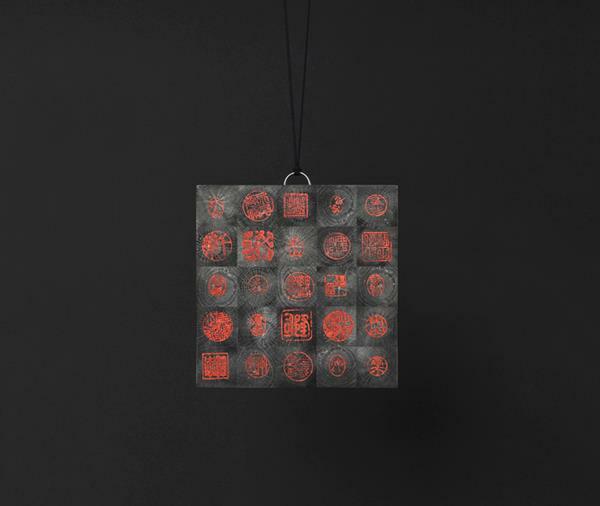 Otto Künzli, Kagami pendant, 2014-15, binchotan, urushi (Japanese charcoal and lacquer). Image courtesy of Otto Künzli. n extensive interview by Akiko Makiyama with Otto Künzli is available now on the klimt02 website. Künzli discusses the recent showing of his touring retrospective, The Exhibition at the Tokyo Metropolitan Teien Art Museum, as well as new pieces including the I Made It – You Name It series (one of which is available to view at the gallery), collaborations and his thoughts on jewellery, education and art. Otto’s voice is articulate, fierce and brilliant and I highly recommend a close reading of this wonderful conversation.